The first phase will be opened towards the end of February 2019, this area is between the Gymnasium and Building 1297 (Printery). Please download the campus map, identifying the changed access, should you require further information on this project. Stage 1 will include Wirri Place, Village Drive from the Gymnasium 1220 to Minimbah Place and from Ordnance Road to John Oxley Village car park P12. Stage 1 road closures will be in place from 3rd December 2018 till mid-February 2019. Car park P5 will be closed throughout the duration of Stage 1 and access to car park P6 will be via a temporary road off Wiradjuri Rd. Access to car parks P12 and P13 will be via a temporary road off Ordnance Rd behind the Library 1412. Access to car park P8 via Minimbah Place will be possible during Stage 1, but closed during Stage 2. Graduations: Works to the Gymnasium end of Stage 1 will cease during graduation celebrations on 13th and 14th December 2018. Access to car park P6 via the temporary road will also cease during the week of graduations from 11th December 2018 till the 14th December 2018 to allow for the establishment of outdoor marques etc. adjacent to Wiradjuri Road. 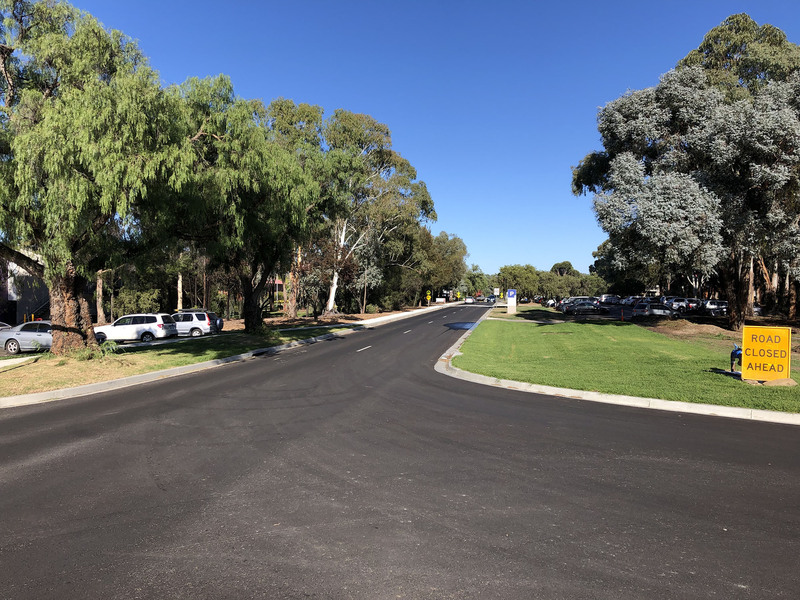 Village Drive, Minimbah Place and car park P8 will reopen. Ordnance Road and the temp access road to car parks P12 and P13 (JOV and Macquarie Village) will close.